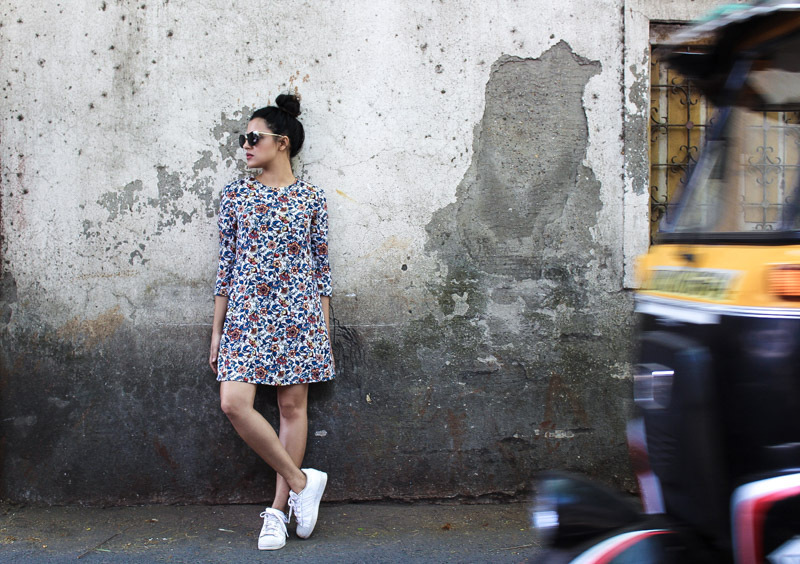 Florals don’t necessarily have be soft & pretty, here I’ve styled a floral skater dress in a sportier, grungier way that’s more apt for a day running around in comfort. 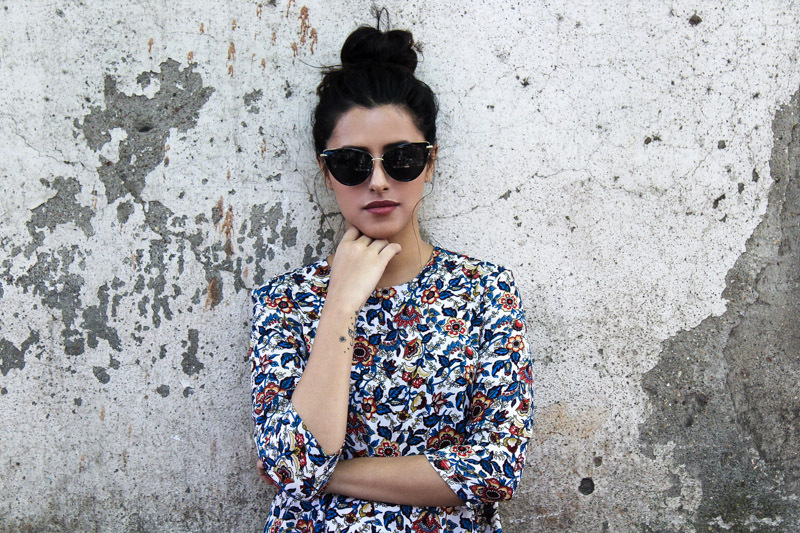 The addition of a messy top knot instead of the usual girly waves makes it more city, and the sneakers, well everyone just loves those on everything right now, and with good reason. Wearing open flats for long durations can hurt & strain your feet, so sometimes a practical purpose like wearing comfy shoes becomes a widespread trend (like the sneaker trend in the last few years). 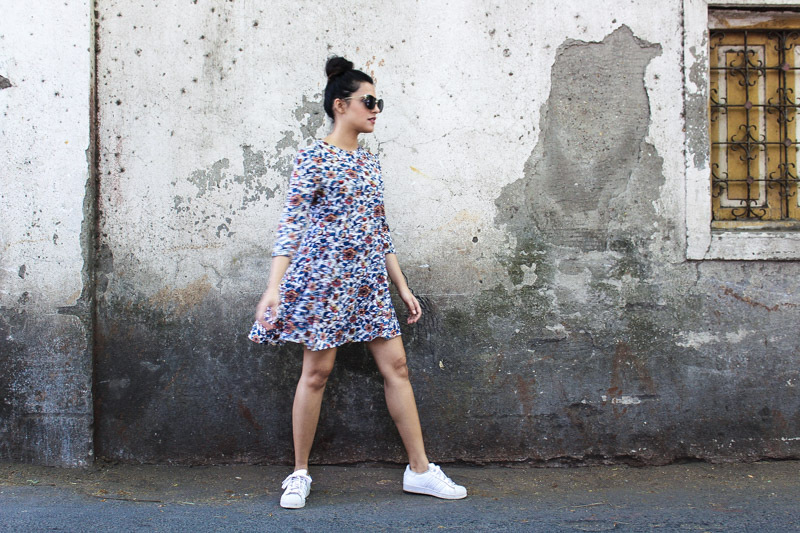 Don’t be afraid to pair super girly pieces like this floral skater dress by Bershka with sporty shoes (Adidas), the result can be effortless & cool. I’ve also added cat eye sunnies from PropShop24, this classic pair with a twist is like the blue jeans of your sunglasses collection, goes with everything and makes you feel sassy AF whenever you put them on. For me, this is the kind of outfit I put on when I want to go and handle my day or source for my various styling projects while still feeling cute.